Throngs of out-of-towners will swarm San Francisco for Fleet Week, the Hardly Strictly Bluegrass Festival, the first Giant post-season games and every other ridiculously awesome thing going on here this weekend. But as many of those visitors opt to book rooms using innovative apartment sharing sites like AirBnB, VRBO and HomeAway, questions swirl about the legality of a practice critics charge depletes the city’s precious housing stock. A 1981 amendment to the San Francisco administrative code made it illegal for the owner of an apartment to offer the unit for rent for a period of under 30 days. Penalties for violating the law are fines that can run up to $1,000 per day. As a result, one local legislator is looking to crack down. Board of Supervisors President David Chiu has proposed legislation that would strengthen enforcement of scofflaw renters by empowering the Department of Building Inspection to hold administrative review hearings looking into the conduct of offenders, something it currently is unable to do. 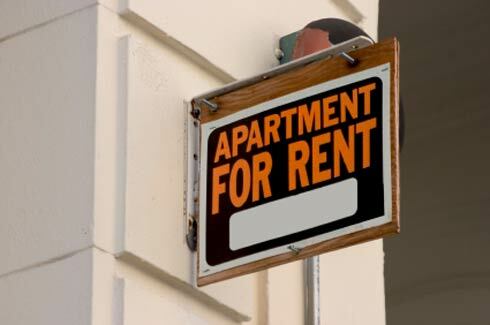 The bill would also close a loophole that’s allowed corporate entities to skirt the law by signing a lease on an apartment and then renting it out to customers or employees. Chiu is also looking into developing a regulatory structure that would transition sites like Airbnb out of their current legal grey area while giving local residents a mechanism to levy complaints about bad behavior from short-term neighbors. It is possible for residents to apply for a conditional use permit allowing them to turn their apartment into a bed and breakfast. However, the application costs well over $1,000 and can take years before receiving formal approval–two factors largely antithetical to the cheap, informal business transactions sharing sites like Airbnb exist to promote. The issue has also raised of the hackles of housing advocates, who worry that treating apartments like hotel rooms will constrict the supply of available units and drive up the price of apartments in what’s already the most expensive rental market in the country. “We began working on this issue a few years ago when we saw a big number of tourist conversions,” said Ted Gullicksen, executive director of the San Francisco Tenants Union. He discovered thousands of apartments–sometimes even entire buildings, usually those covered by rent control laws–were being taken off the rental market for use by tourists, sometimes after evictions to clear them of tenants. If I could use these sites to make money, unscrupulous landlords could as well. This isn’t the first time Airbnb has brushed up against San Francisco’s formidable bureaucracy. Only days after Mayor Ed Lee announced the formation of a working group aimed at bolstering the city’s “sharing economy,” Treasurer Jose Cisneros made his own announcement–that rooms rented through companies like Airbnb would be subjected to the city’s hefty hotel tax. “We are now and will continue to meet with the various stakeholders, neighbors, property owners and tenant groups as the city’s codes and zoning laws are updated to reflect the reality of short term rentals,” said Airbnb in a statement. Chiu’s bill, which received support from a rare coalition of groups representing both tenants and property owners, was unanimously approved by the Board of Supervisors’ Land Use Committee on Monday and is expected to be voted on by the full Board later this month.